Coach Khaled was a member of the Egyptian National Team for 17 years between 1973 and 1989, during which he earned numerous accolades including the Egyptian National Junior Foil Champion and four-time winner of the National Épée Championship. He represented his country in both weapons in several World Championships, World Cups, and the 1984 Olympic Games in Los Angeles. Khaled assisted in Coaching the Egyptian Junior National Team in 1987 with Head Coach Michael Perrin of France. He also coached the Foil and Epée at the Athletic Northeast Club in Atlanta, Georgia. 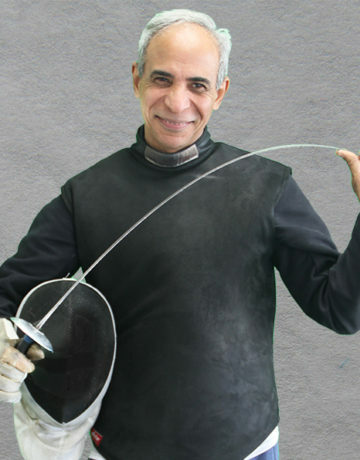 Coach Khaled brings tremendous experience training all levels of fencers at Salle Mauro Fencing Academy.